A male student, who is accused of recorded videos in a girls’ bathroom at Atascadero High School, is facing criminal prosecution, according to the city’s police department. The video recordings did not contain any students’ private parts or sexual activity, and were primarily just audio recordings, police said. Police have not identified any victims. Still, Atascadero police have forwarded the case to the San Luis Obispo County District Attorney’s Office and are recommending prosecutors charge the juvenile suspect with two misdemeanors. Police, who were notified of the alleged recording on March 25, believe it was a one time incident. 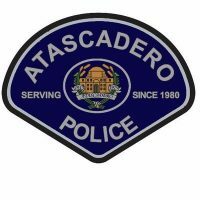 The suspect is no longer attending Atascadero High School. District officials plan to apply appropriate and severe consequences in line with the state education code, according to the district. School officials are offering counseling and support services to students affected by the incident.